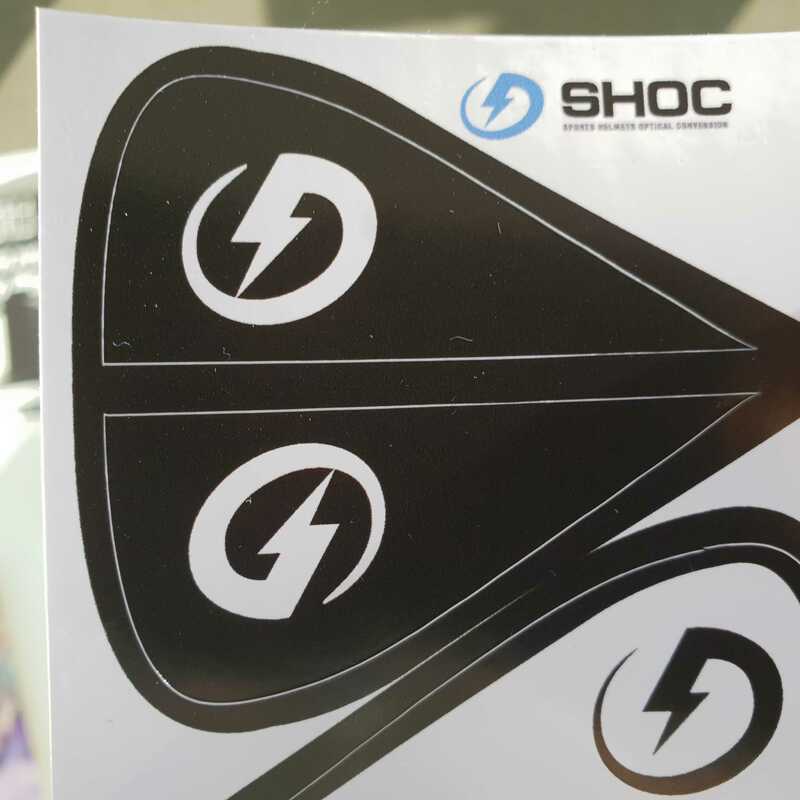 Sheeted stickers are custom shaped kiss cut stickers printed multiple times on individual sheets. They are a time and cost-efficient way to print stickers that are easy to peel and stick on products. We digitally print and cut stickers, so no run is too small. We also offer custom contour kiss cutting of simple shapes which is included in the price. All of our stocks are made of vinyl, so they are all waterproof and you can opt for lamination if you need extra protection. 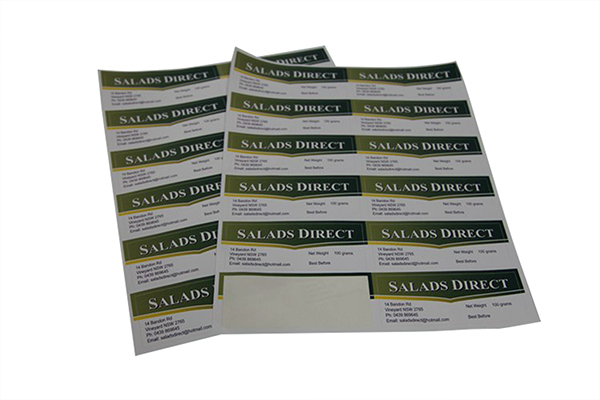 Please see the link below to get pricing on sheeted stickers for your customers. Click on the tabs below for more information which should answer most of your questions. What Is the Sheet Size Of This Product? 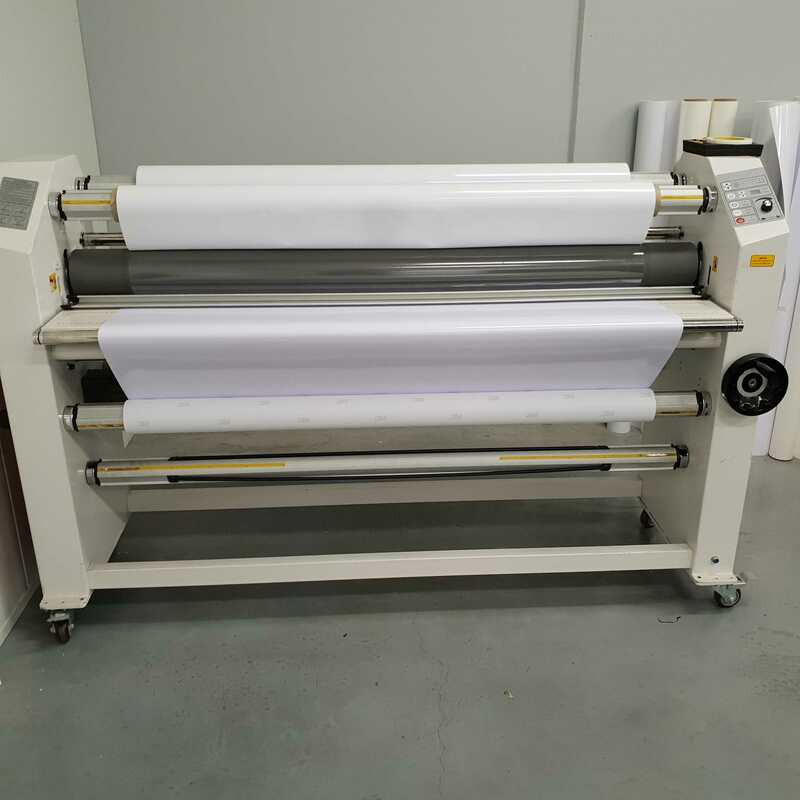 The settings of this product are configured to a sheet size of 233mm x 295mm. We fit as many stickers on the sheet as possible while leaving a 6mm gap between cut lines. What Is the Minimum & Maximum Sticker Size You Can Offer? 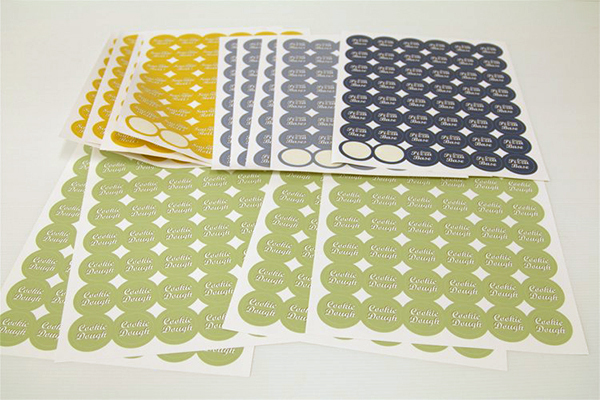 The minimum kiss cut sticker size we offer is 5mm x 5mm and the max size is 223mm x 285mm. If you are looking for larger finished size sticker then you will be able to find a solution among our custom cut sticker products. 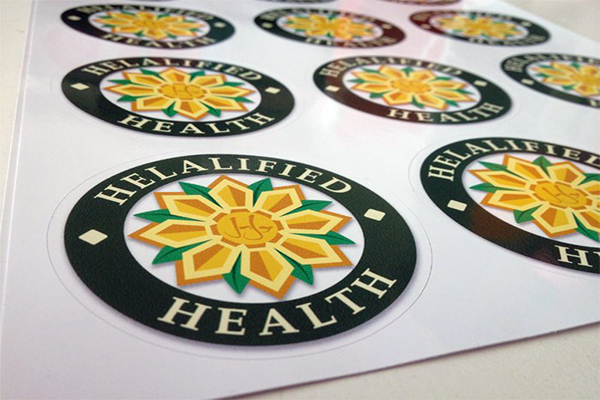 How Does Lamination Help Sheeted Stickers? Lamination protects the ink from any abrasion or chemicals. It also prolongs the ink life by an extra year. The ink is rated to withstand 2 years of outdoor exposure when un-laminated, so lamination gives it an extra layer of protection. But please note that the actual material it is printed on has a different specified life. As we are digitally printing these sheeted stickers it is not there are some restrictions associated with digital printing. Solid colours can be grainy and the use of latex ink results in a larger dot size, which can affect small text. However, the use of latex ink means that we are able to offer superior outdoor durability. If your customer is after an offset finish, then our digital print might not be suitable. 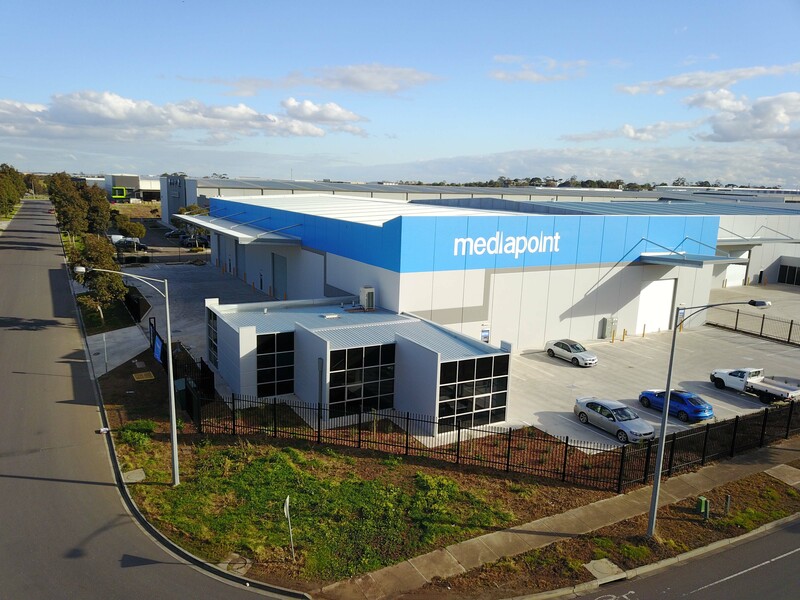 The benefit of using Mediapoint is being able to do shorter runs and custom shapes which offset printing will not allow you to do. Selection of stock depends on a range of individual factors such as whether you would prefer a matt or gloss finish, how long you would like the stickers to last and whether you need any special adhesive like a removable or a block out stock. When you select a stock you can also decide whether you need lamination for extra protection. You can find further information about all of our stocks under the Product Specification tab. Is Digital Ink On Clear Solid? CMYK on clear vinyl is not solid. If you stick your sticker onto a dark background the result would be a translucent colour that is barely visible. The only way around this is to opt for one of our white ink sticker products which is where we print white ink under the CMYK to ensure greater visibility. What Are The Differences Between Monomeric & Polymeric Stocks? The difference in the products is in the manufacturing processes and the composition of the stocks. Unprinted monomeric stocks typically have a lifespan rating of 1-2 years, while unprinted polymeric stocks are typically rated at 3-5 years. Lamination is an option with this product. Select the laminate you would like under finishing options. A custom kiss cut is included in the price of this product. It needs to be kiss cut to a simple shape of no more than 5 points. More intricate artwork will be rejected.